Testing only appropriate patient specimens for C. difficile can have a dramatic impact on an institution's C. difficile rates1, but it takes a team effort to enforce proper testing criteria. We are committed to helping infection control professionals raise awareness and drive compliance at their facilities through creative educational tools and updates to the latest C. diff news and science. 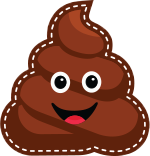 We believe when you Know Your Poo, patients win. 1 Truong et al. 2017. Real-time electronic tracking of diarrheal episodes and laxative therapy enables verification of Clostridium difficile clinical testing criteria and reduction Clostridium difficile infection rates. J Crin Microbiol 55 :127 1284.